Body, wings, and baby are made of Kunin Plush Felt. 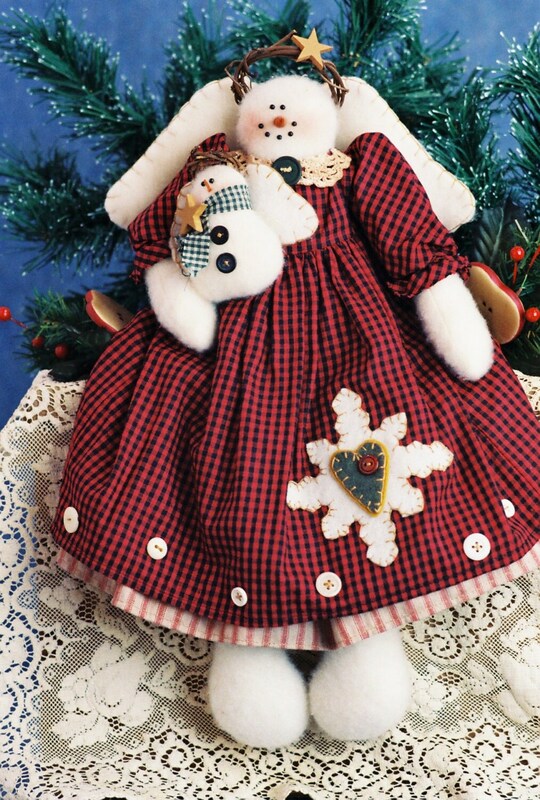 Dress is adorned with snowflake and heart made of felt. Snowflake and wings are blanket stitched. Halo is grape-vine wreath. Easy to make. Instant download PDF come complete with easy to follow instructions, Doll and clothing patterns as well as a suggested materials list.